Painting is a dance. I will boldly go where my heart and the movements take me...fluid and calm or reckless and wild. Captured moments of my magnificent natural surrounding evolve and twist into unexpected abstract expressions through intuition and chance. 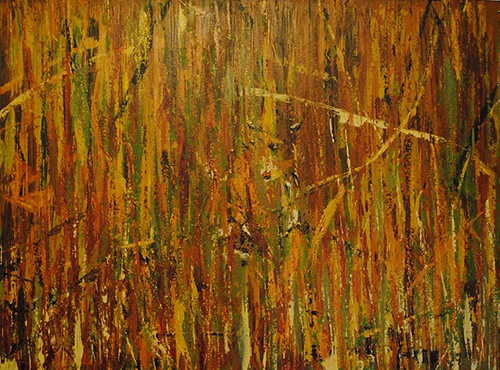 Colour and texture and spread across the canvas - spontaneous results develop. My current large canvas works allows my free spirit to soar...playing with colour combinations gives me pure joy and contentment. I look forward to this life-long journey and the ever changing path before me. Now that I have caught a glimpse of the promise within myself to create, I am excited to continue telling my stories through my paintings.